Help make it your guy's resolution to care more about his outfits--and YOUR resolution to help pick them out for him! Check out the latest men's wear from SM Department Store. Neither you nor your guy would need to worry about budget, quality, or even variety of clothes. Department store shopping for your guy has never had this many great choices. 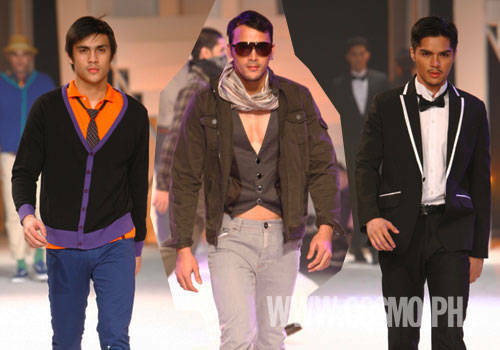 With really cool pieces from fashion-forward brands such as Uberto Duranti, T.R.U. Denim, Markus, V+, and Baleno, you can help turn your man into the Best Dressed Boyfriend for 2011. Launch the gallery to see the collection and pick up some styling and layering tips for the next time you hit the department store with your man!